STEPLADDER 12 FOOT FIBERGLASS Rentals Ft. Collins CO, Where to Rent STEPLADDER 12 FOOT FIBERGLASS in Ft. Collins, Wellington, Greeley, LaPorte, Loveland, Windsor CO and all of Northern Colorado. A FIBERGLASS STEP LADDER, STEPS ON ONE SIDE ONLY. 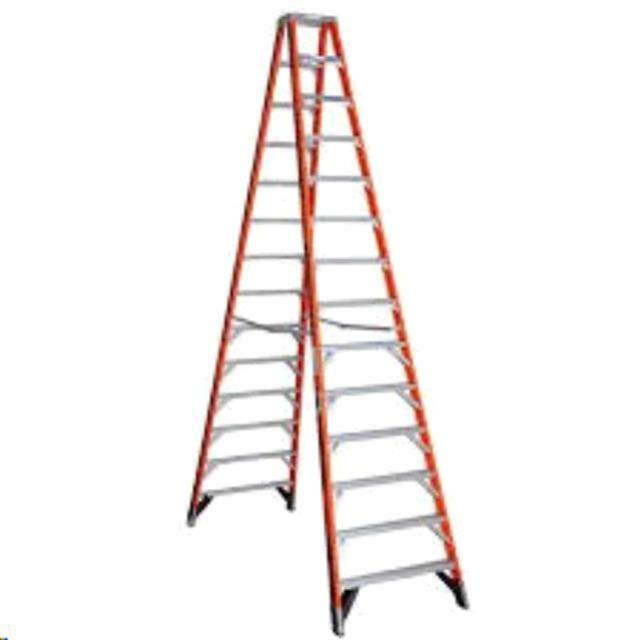 LADDER HEIGHT 12' Maximum reach 16', Max Standing height 9'6"
Base spread when standing is 6'7", width at base is 35"
Weight is 65 lbs, have assistance putting up and taking down. * Please call us for any questions on our stepladder 12 foot fiberglass rentals in Fort Collins, Wellington, Greeley, LaPorte, Loveland, Windsor CO and all of Northern Colorado.